Three year (2018 – 2020) AfNHi strategy and website developed. Partnership: Promote partnerships, synergy, meaningful community engagement and leverage of resources through beneficial and strategic linkages from within and without the organization and utilizing the skills and expertise of all our constituencies. 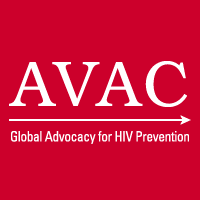 Facilitate and coordinate African led advocacy for HIV Prevention Research towards ending the HIV epidemic in Africa. Africa has less than 20% of the global population and is home to approximately 70% of people living with HIV (PLWH). The landscape of HIV response has changed over the years with the development of rapid response and user-friendly HIV test kits, affordable and effective antiretroviral drugs, and impactful prevention tools such as voluntary medical male circumcision and oral pre-exposure prophylaxis (PrEP). More still needs to be done to end the AIDS epidemic by addressing challenges in financing, tools and their accessibility to those who need them, community knowledge through increased number of advocates at the local and regional level in HIV Prevention Research Advocacy. The 2018-2020 strategy developed from concerted efforts of advocates working on HIV Prevention Research in Africa. The strategy provides a collaboration platform for individual advocates, Civil Society Networks, coalitions and institutions working in Africa on HIV Prevention Research Advocacy. We believe that right changes in technical resources, advocacy roadmaps and financing strategies will result in program outputs that results in large scale outcomes. Building a strong and vibrant network will strengthen local CSOs’ capacity which will in turn lead to locally owned and driven agendas on HIV Prevention Research. Local visibility and participation pushes and feeds into national and regional agenda. This will consequently result in the needed long term investment in HIV Prevention Research that can help eliminate new HIV infections and end the AIDS epidemic. Implement mechanisms that will significantly increase public health investments fulfilling the commitment to invest at least 5% of GDP to health. Finance health research and innovation in line with the commitment to invest at least 2% of national health budgets to health research and development. Ensure increased efficiencies and effectiveness of available resources for health. Constructive engagement with stakeholders to ensure an Africa Free of New HIV infections.